Whiskey, maple, Bacon...what's not to like! Sweet and savory, that's for me! 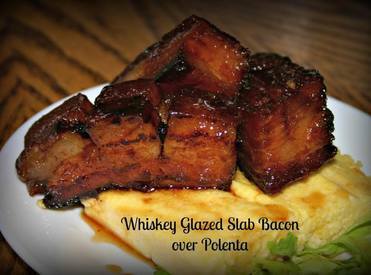 In this recipe from Just A Pinch they serve Whiskey Maple Bacon over homemade polenta...how would you serve it?